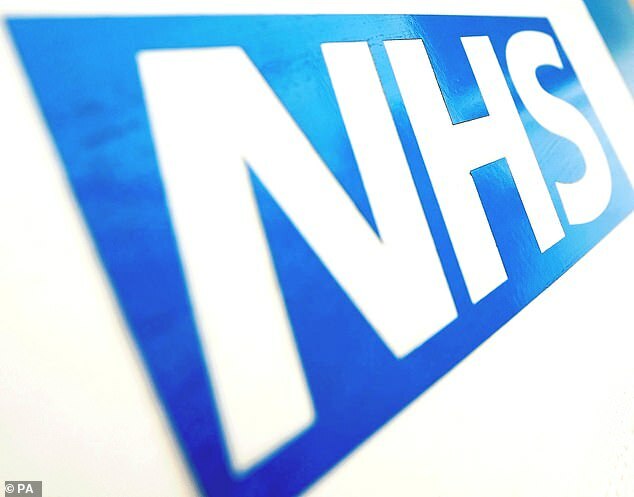 A Brexit deal is desperately needed to avoid the disastrous consequences for the NHS, a leading medical journal has warned. In a blistering editorial, the respected Lancet publication says any form of Brexit will negatively impact the NHS – but no-deal is to be avoided at all costs. Departing Europe will leave hospitals struggling to fill jobs and provide medicines, it says – and politicians are yet to come up with a solution. ‘For the NHS and health, almost any deal must be better than a no-deal,’ the Lancet says. It adds: ‘There is no good news for the NHS – or for health. ‘In all scenarios, depletion of the NHS workforce is inevitable, care for UK nationals living in the EU is uncertain, and access to medicines, vaccines, and devices hangs in the balance. ‘With a No-Deal Brexit scenario, the UK will be free to establish its own trade agreements with non-EU countries, but such negotiations are in early stages, and there is no foreseeable plan for provisions to bridge any temporary gap. ‘The current version of the Withdrawal Agreement (to which the UK Parliament has not agreed) provides some continuity until December, 2020, but negotiations over the Northern Ireland backstop are precarious at best, and the long-term relationship with the EU remains unknown. In a separate 10-page paper, adademics at the universities of Oxford, Sheffield, and the London School of Hygiene & Tropical Medicine among others, set out the ramifacations of the different Brexit scenarios. The authors, who are leading experts in public health and law, warn that little evidence exists that the UK is prepared for any of the eventualities set out in their analysis. For instance, the NHS ten-year plan published last month ran to 136 pages, with only two mentions of Brexit, neither of which offered any detail about what it might mean, or how any threats would be addressed. They said recruitment and retention of the NHS workforce represents a major challenge post-Brexit. Theresa May’s withdrawal agreement provides reciprocal arrangements and mutual recognition of professional qualifications up to 2020. But no provisions for health care workers have been made in the wording of the backstop or political declaration. Under a no-deal Brexit, the Immigration White Paper proposes a minimum salary threshold of £30,000 per year which could seriously limit immigration of many health workers to the UK. Under Mrs May’s withdrawal agreement, the continuity of legal provisions will secure supply chains for medicines, vaccines, medical devices and equipment until 2020. But under a no-deal Brexit, the absence of a legal framework for imports and exports would have an ‘immediate and drastic effect’ on supply chains, they said. Professor Martin McKee, of the London School of Hygiene & Tropical Medicine, said: ‘Some people will dismiss our analysis as “Project Fear”. ‘But with just over a month to go to Brexit, we need to move beyond slogans. ‘We have set out the problems in detail, based on the best available evidence. ‘If others disagree, then they owe it to the British people to say why. It just isn’t good enough to keep saying that “something will work out” without any details of exactly how.’ Professor Tamara Hervey, of the University of Sheffield, said: ‘It’s critical to be clear about the practical effects of disentangling over 40 years of legal integration. ‘This is not something that can be done hastily without potentially jeopardising people’s health.